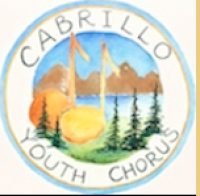 Directed by Cheryl M. Anderson, the Cabrillo Youth Chorus provides a comprehensive vocal music program for children 8-18 years of age. We provide a wonderful ensemble experience that incorporates beautiful singing tone and music-reading fluency, in an atmosphere of mutual respect and joy. The program involves making music with excellent professional musicians using the best of literature. Our young singers experience the rewards of dedication to the craft.